The SKARABADC4X3G-14 is a four channel analog-to-digital converter (ADC) mezzanine for the SKARAB FPGA compute platform. 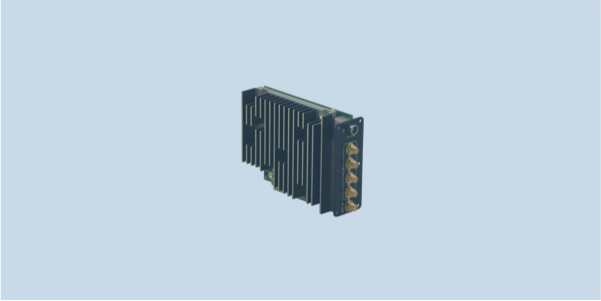 It provides four 3.0 GSPS, 14-bit ADC channels capable of digitizing signals from near-DC to 3.2/4.0 GHz, at a bandwidth of up to 1.5 GHz. Each ADC is supported by up to two digital down-converters (DDC) providing programmable bandwidth and frequency selection (with decimation factors from 4 to 32). On-board clock generators derive high quality GHz sampling clocks from an external user-supplied stable reference (typically 10 MHz). The mezzanine also supports external triggering and I/O to allow gated acquisition for external event detection and time/event stamping. 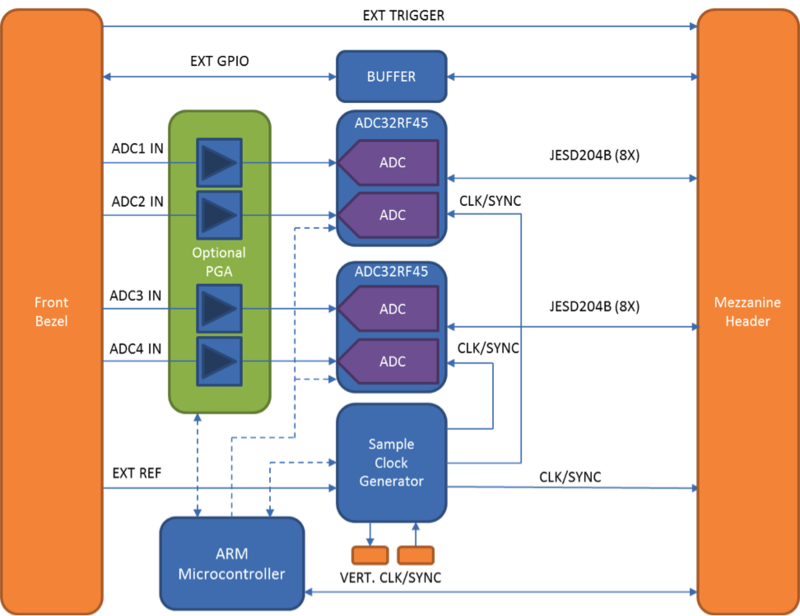 An on-board ARM microcontroller offloads low-level ADC sub-system management from the SKARAB FPGA. An optional programmable gain amplifier (PGA) on each ADC input allows input level optimization. TheADC4X3G-14 includes a board support package/reference design to accelerate firmware application development.